The results of the research conducted in the NanoFun laboratories have already been partially published in highly rated international journals. We invite you to follow our list of publications. 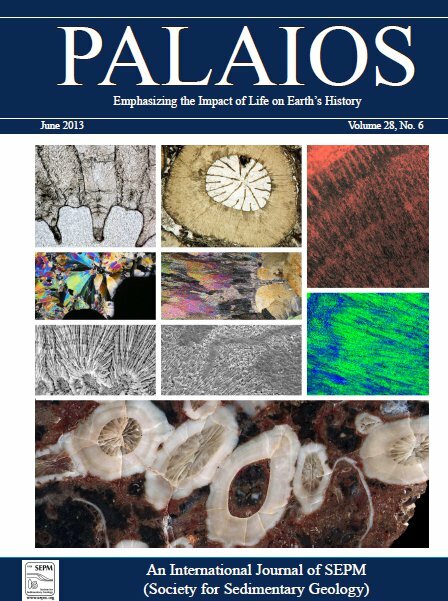 PLOS ONE 12(7): e0181118. https://doi.org/10.1371/journal.pone.0181118. "Quantum dots use both LUMO and surface trap electrons in photoreduction process"
"Photosymbiosis and the expansion of shallow-water corals"
"Diagenesis of echinoderm skeletons: Constraints on paleoseawater Mg/Ca reconstructions"
"The volume of cavities in proteins and virus capsids"
"New Insight into Metal Ion-Driven Catalysis of Nucleic Acids by Influenza PA-Nter"
"Hydrophilic colloidal quantum dots with long peptide chain coats"
"Merging scleractinian genera: the overwhelming genetic similarity between solitary Desmophyllum and colonial Lophelia"
"How can macromolecular crowding inhibit biological reactions? 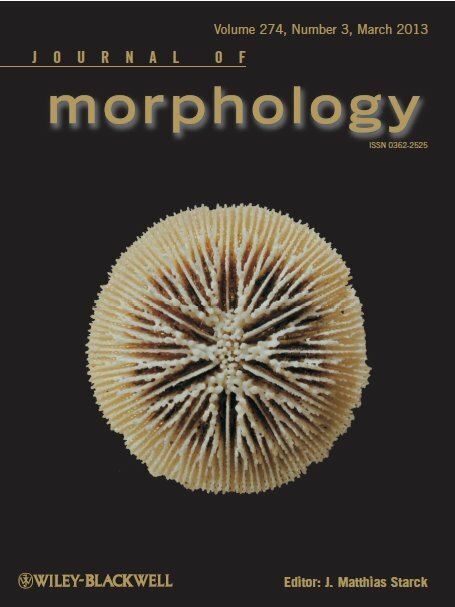 The enhanced formation of DNA nanoparticles"
"Fine-Scale Skeletal Banding Can Distinguish Symbiotic from Asymbiotic Species among Modern and Fossil Scleractinian Corals"
"Translocation of 5′ mRNA cap analogue — peptide conjugates across the membranes of giant unilamellar vesicles"
"The effect of UV-B on Arabidopsis leaves depends on light conditions after treatment"
"New Insights into Active Site Conformation Dynamics of E. coli PNP Revealed by Combined H/D Exchange Approach and Molecular Dynamics Simulations"
"Upconverting/magnetic: Gd2O3:(Er3+,Yb3+,Zn2+) nanoparticles for biological applications: effect of Zn2+ doping"
"Expression of pre-selected TMEMs with predicted ER localization as potential classifiers of ccRCC tumors"
"Photoreduction of natural redox proteins by CdTe quantum dots is size-tunable and conjugation-independent"
"Fossil corals as an archive of secular variations in seawater chemistry since the Mesozoic"
"Magnetic properties and magnetocaloric effect in La0.7Sr0.3-xBixMnO3 manganites"
"Magnetic and Structural Study of (ZnTe)/Co Core-Shell Nanowires Grown by Molecular Beam Epitaxy"
"The liverwort Pellia endiviifolia shares microtranscriptomic traits that are common to green algae and land plants"
"Synthesis of ZnAl2O4:(Er3+,Yb3+) spinel-type nanocrystalline upconverting luminescent marker in HeLa carcinoma cells, using a combustion aerosol method route"
"Fluorescence Resonance Energy Transfer between ZnO/MgO/Carboxymethyl-β-cyclodextrin and Nile Red in HeLa cells - biosensing applications"
"Supramolecular Control over Molecular Magnetic Materials: γ-Cyclodextrin-Templated Grid of Cobalt(II) Single-Ion Magnets"
"Patterns of structural dynamics in RACK1 protein retained throughout evolution: A hydrogen-deuterium exchange study of three orthologs"
"Homooligomerization is needed for stability: a molecular modelling and solution study of E. coli purine nucleoside phosphorylase"
"A phylogeny reconstruction of the Dendrophylliidae (Cnidaria, Scleractinia) based on molecular and micromorphological criteria, and its ecological implications"
"A magnetic nanogel based on O-carboxymethylchitosan for antitumor drug delivery: Synthesis, characterization and in vitro drug release"
"A new system for naming ribosomal proteins"
"Theoretical tests of the mechanical protection strategy in protein nanomechanics"
"Toxicity assessment of SiC nanofibers and nanorods against bacteria"
"Mechanostability of virus capsids and their proteins in structure-based Models"
"Structure-based analysis of thermodynamic and mechanical properties of cavity-containing proteins – case study of plant pathogenesis-related proteins of class 10"
"Energy landscape and dynamics of an HP lattice model of proteins – the role of anisotropy"
"FUT11 as a potential biomarker of clear cell renal cell carcinoma progression based on meta-analysis of gene expression data"
"Eukaryotic translation initiation is controlled by cooperativity effects within ternary complexes of 4E-BP1, eIF4E, and the mRNA 5′ cap"
"Stereom microstructures of Cambrian echinoderms revealed by cathodoluminescence (CL)"
"Activation Energy for Mobility of Dyes and Proteins in Polymer Solutions: From Diffusion of Single Particles to Macroscale Flow"
"Toxic effect assessment of aminotetrazoles and high-energetic azotetrazole salts on soil microbial respiration"
"Energy landscape and dynamics of proteins: An exact analysis of a simplified lattice model "
"3’ end processing of histone pre-mRNAs in Drosophila: U7 snRNP is associated with FLASH and polyadenylation factors"
"Geomicrobiology of Acid Mine Drainage in the weathering zone of pyrite-bearing schists in the Rudawy Janowickie Mountains (Poland)"
"Bacterial Growth and Adaptation in Microdroplet Chemostats"
"Molecular architecture of plant thylakoids under physiological and light stress conditions: a study of lipid-light-harvesting complex II model membranes"
"Amino acids and proteins at ZnO–water interfaces in molecular dynamics simulations"
"Nanoindentation of 35 virus capsids in a molecular model: Relating mechanical properties to structure"
"DIAGENETIC ALTERATION OF TRIASSIC CORAL FROM THE ARAGONITE KONSERVATLAGERSTATTE IN ALAKIR CAY, TURKEY: IMPLICATIONS FOR GEOCHEMICAL MEASUREMENTS"
"Transport of NaYF4:Er3+, Yb3+ up-converting nanoparticles into HeLa cells"
"Ferredoxin:NADPC+ oxidoreductase in junction with CdSe/ZnS quantum dots: characteristics of an enzymatically active nanohybrid"
"A multi-scale molecular dynamics study of micron-size supraparticle assembly from alkyl-coated 30 nm nanoparticles"
"Adsorption studies of azotetrazolate and 3,6-dihydrazinotetrazine on peat"
"Skeletal Ontogeny in Basal Scleractinian Micrabaciid Corals"
Rożek A, Kowalczyk P, Wolicka D.
"Revealing sulfate-reducing microorganisms in oilfield waters (Flysch Carpathians, south-eastern Poland)"
"Cystine plug and other novel mechanisms of large mechanical stability in dimeric proteins"
Yang XC, Sabath I, Dębski J, Kaus-Drobek M, Dadlez M, Marzluff WF, Dominski Z. "A complex containing the CPSF73 endonuclease and other polyadenylation factors associates with U7 snRNP and is recruited to histone pre-mRNA for 3'-end processing"
"Characterization of Caulobacter crescentus FtsZ Protein Using Dynamic Light Scattering"
"Microbiological reduction of sulphates in salty environments and mineralogical characterization of the transformation products"
"Influence of 1,2,4,5-tetrazine derivatives on growth of bacterial consortium isolated from soil"
"Empirical and computational design of iron-sulfur cluster proteins"
"Geometrical and electrical properties of indium tin oxide clusters in ink dispersions"
"Comparative Analysis of Viscosity of Complex Liquids and Cytoplasm of Mammalian Cells at the Nanoscale"
"The World's Best Gallium Nitride"